As a testament to American ingenuity we are beginning to see more and more accessories to keep AR-15 rifles in the hands of American shooters who live in restricted states. While all these devices accomplish their goal shooters end up with severely neutered AR’s. It’s better than nothing though. 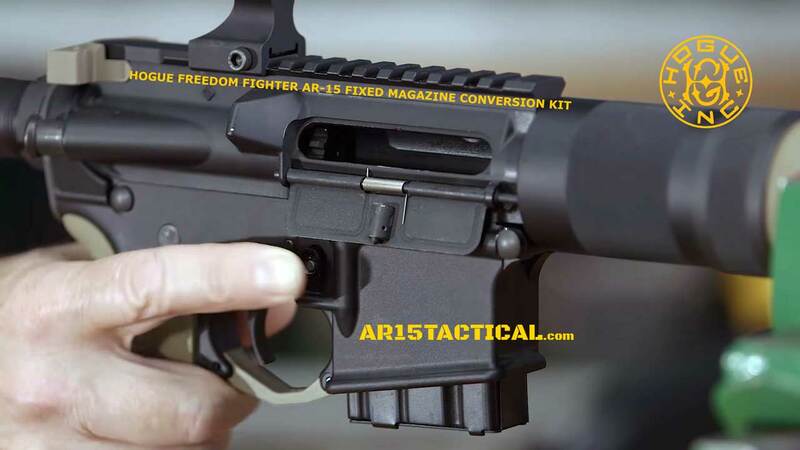 The HOGUE AR-15 FREEDOM FIGHTER FIXED MAGAZINE CONVERSION KIT is one such accessory. 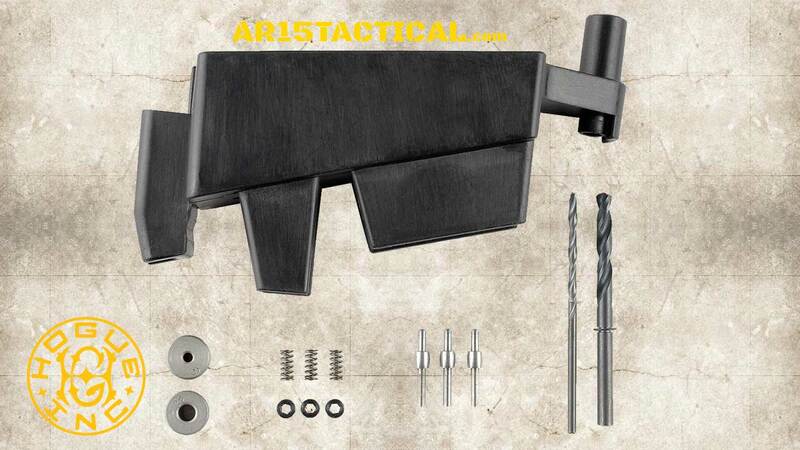 The Hogue fixed magazine conversion kit consists of parts and a drill jig to perform required a modification to an AR lower receiver to make it a fixed magazine lower. Once the AR is modified the upper and lower must be opened to remove the magazine. The Hogue Freedom Fighter AR-15 Fixed Magazine Conversion Kit lets you turn a standard, mil-spec AR-15 lower receiver into a fixed magazine lower to comply with various state and local restrictions on detachable mags. Sure, we know these restrictions serve no constructive purpose, but the law is the law and responsible gun owners have to comply. For best results, Hogue recommends installation by a professional gunsmith or machinist, but the Freedom Fighter AR-15 Fixed Magazine Conversion Kit can be installed by anyone with good mechanical skills. Brownells carries several items needed for installation that can be found at the following skus: 123-000-005 5/64″ Allen Wrench, 395-832-001 8-32 Tap, 078-101-152 Magazine Release Assembly, and 231-000-096 Magazine Catch Spring.